Model:LT0063 ASPEN Description: COB LED aluminium torch with black wrist strap and push-button activation. Batteries included. Available in 4 colours. Colour Options: Black,Blue,Red,Silver Product Data Specification Product Size 86 x 26 mm Product Weight Ink Colours If Applicable Additional Information Price includes engraving to 1 position only. Price excludes Carriage & Origination. Lead Times 5 working days from artwork approval. Personalisation Data Max Personalisation Pad/Screen Print Area N/A Engraving Area 30 x 20 mm Full Colour Area N/A Embroided Area N/A Max Spot Colours N/A Foil Block Embossing N/A Notes Price includes a 1 colour print to 1 position. Set up and carriage are additional. 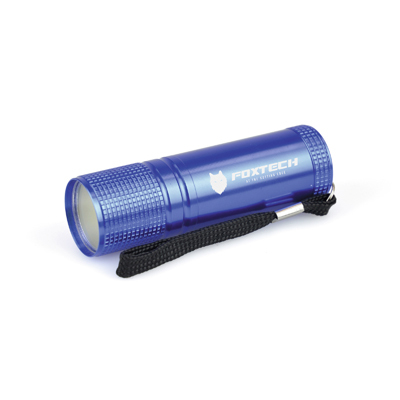 Model:LT0140 BEECH Description: 2 LED Hand held dynamo torch Colour Options: Amber,Blue,Green,Grey,Pink,Purple,Red Product Data Specification Product Size 101 x 51 x 29 mm Product Weight Ink Colours If Applicable N/A Additional Information Price includes a 1 colour print to 1 position only. Price excludes Carriage & Origination. Lead Times 5 working days from artwork approval. For Priority Service Lead times and pricing info please visit Priority-Service for more information. Personalisation Data Max Personalisation Pad/Screen Print Area 30 x 25 mm Engraving Area N/A Full Colour Area 35 x 20 mm Embroided Area N/A Max Spot Colours 4 Foil Block Embossing N/A Notes Price includes a 1 colour print to 1 position. Set up and carriage are additional. 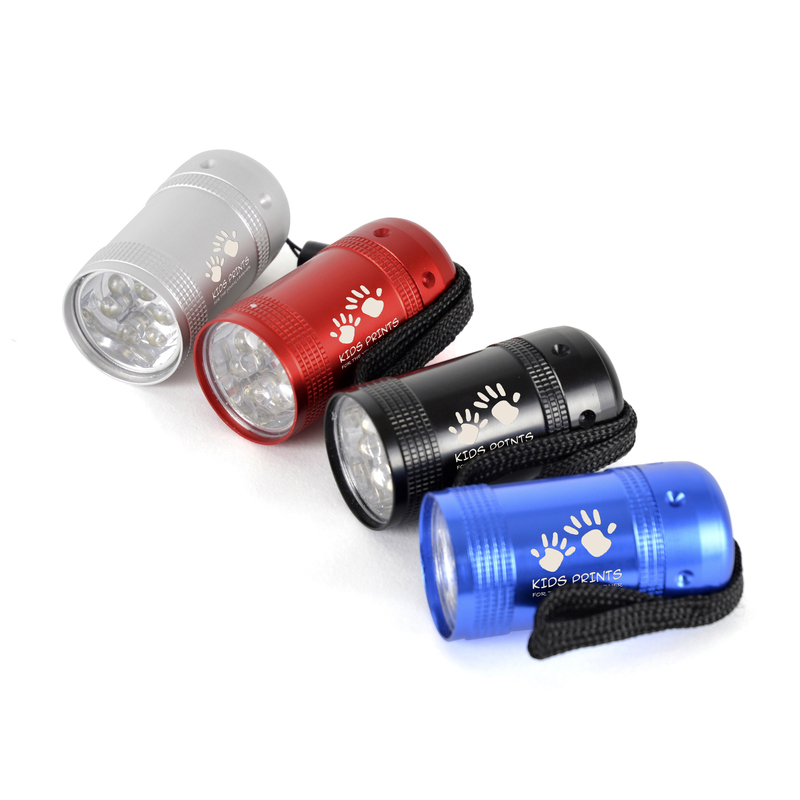 Model:LT0006 BLACKHILL Description: 6 LED metal torch with wrist strap. 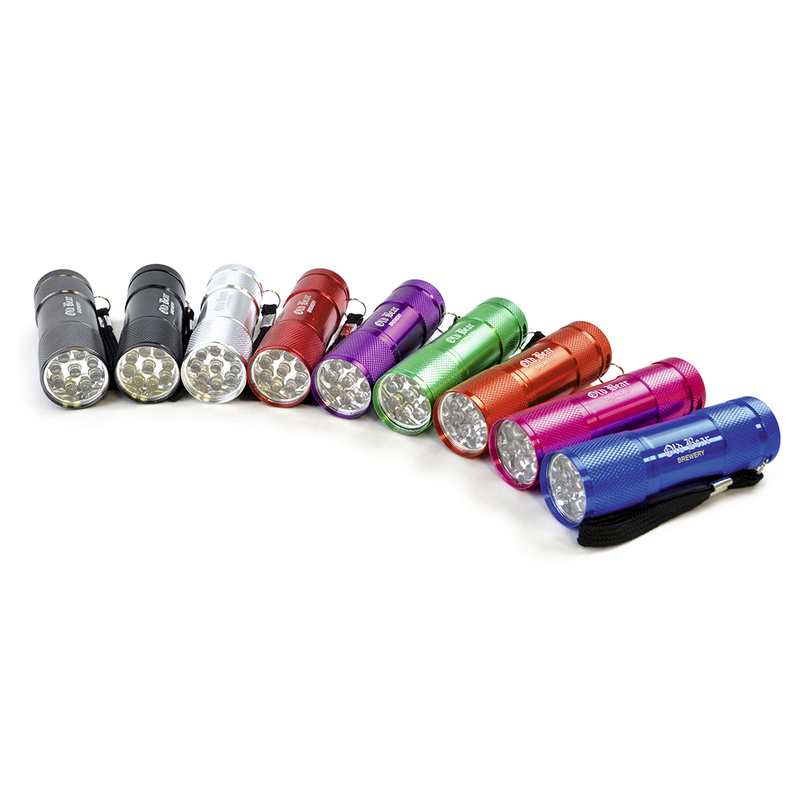 Battery included Colour Options: Black,Blue,Red,Silver Product Data Specification Product Size 50 x 25 mm dia. Product Weight Ink Colours If Applicable N/A Additional Information Price includes engraving to 1 position only. Price excludes Carriage & Origination. Lead Times 5 working days from artwork approval Personalisation Data Max Personalisation Pad/Screen Print Area N/A Engraving Area 20 x 18 mm Full Colour Area N/A Embroided Area N/A Max Spot Colours N/A Foil Block Embossing N/A Notes Price includes engraving to 1 position only. Set up and carriage are additional. 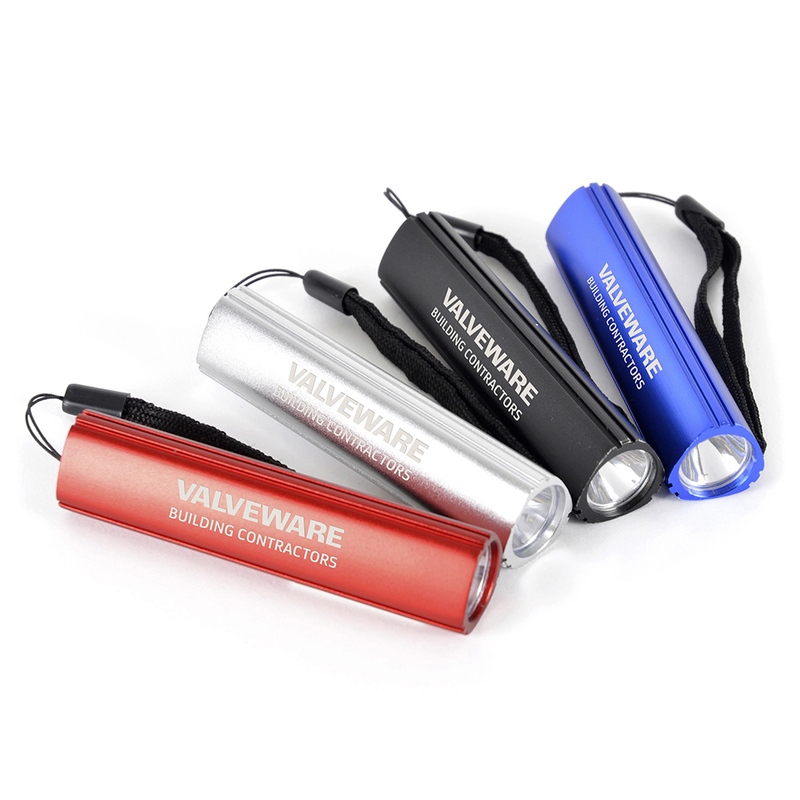 Model:LT0003 COLSHAW Description: 1 LED aluminium torch in a triangular shaped design. Takes 1 x AA battery. 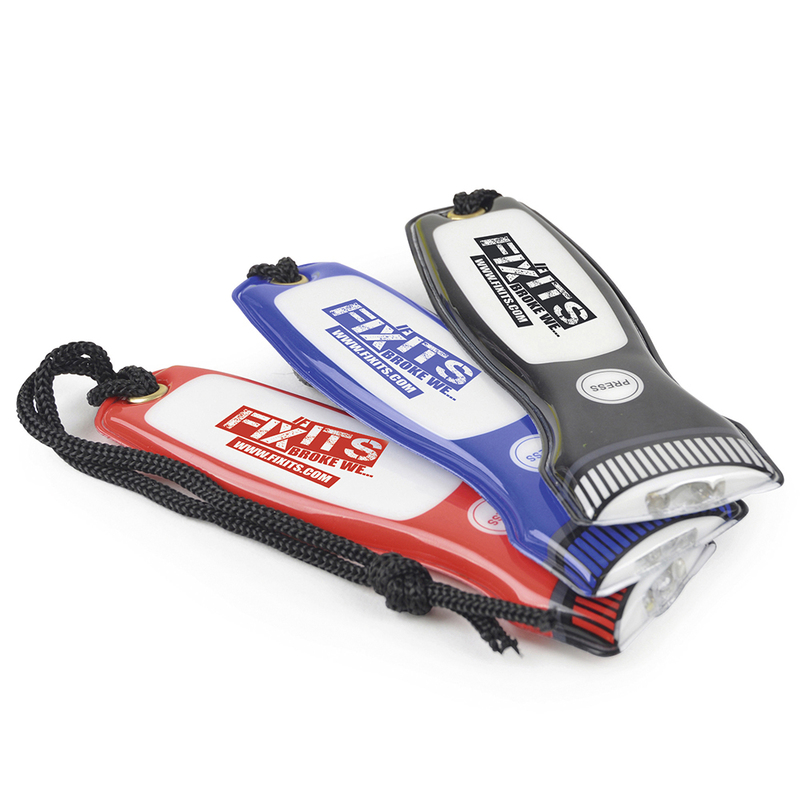 Battery included Colour Options: Black,Blue,Red,Silver Product Data Specification Product Size 92 x 22 x 22 mm Product Weight Ink Colours If Applicable N/A Additional Information Price includes engraving to 1 position only. Price excludes Carriage & Origination. Lead Times 5 working days from artwork approval. For Priority Service Lead times and pricing info please visit Priority-Service for more information. Personalisation Data Max Personalisation Pad/Screen Print Area N/A Engraving Area 80 x 10 mm Full Colour Area N/A Embroided Area N/A Max Spot Colours N/A Foil Block Embossing N/A Notes Price includes engraving to 1 position only. Set up and carriage are additional. 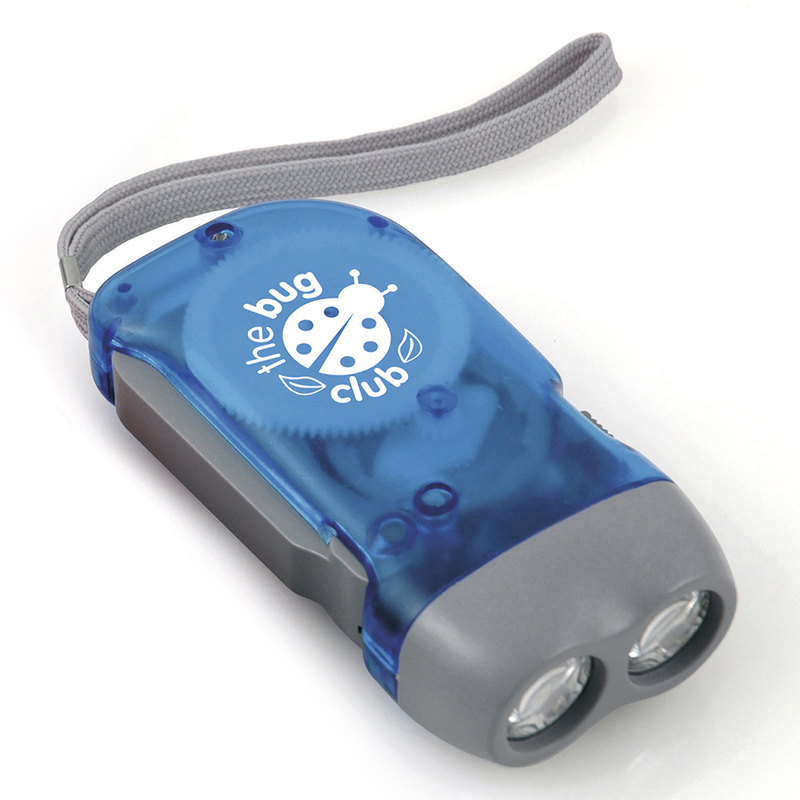 Model:LT0010 CUBE Description: High powered metal 6 LED torch in a compact cube design. Batteries included. Colour Options: Black,Blue,Red Product Data Specification Product Size 40 x 28 x 28 mm Product Weight Ink Colours If Applicable N/A Additional Information Price includes a 1 colour print to 1 position only. Price excludes Carriage & Origination. Lead Times 5 working days from artwork approval Personalisation Data Max Personalisation Pad/Screen Print Area 20 mm dia Engraving Area 20 mm dia Full Colour Area 25 mm dia Embroided Area N/A Max Spot Colours 1 Foil Block Embossing N/A Notes Price includes a 1 colour print to 1 position. Set up and carriage are additional. 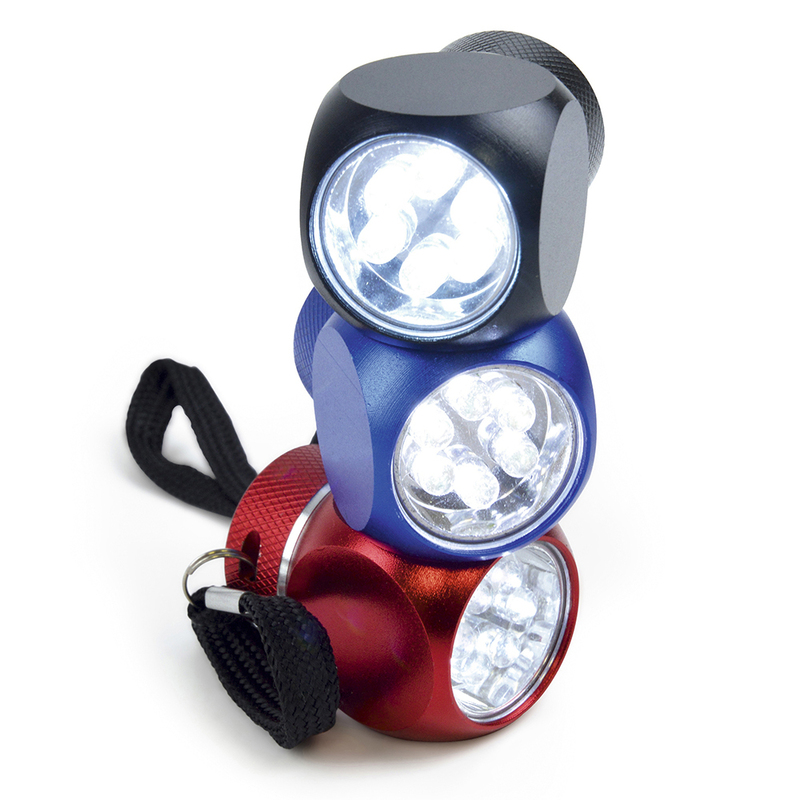 Model:LT0053 SYCAMORE SOLO Description: Metal 9 LED torch. 3 AAA batteries included. Available in 10 colours Colour Options: Amber, Black, Blue, Cyan, Gun Metal, Green, Pink, Purple, Red, Silver Product Data Specification Product Size 89 x 26 mm dia. Product Weight Ink Colours If Applicable N/A Additional Information Price includes engraving to 1 position only. Price excludes Carriage & Origination. Lead Times 5 working days from artwork approval. For Priority Service Lead times and pricing info please visit Priority-Service for more information. Personalisation Data Max Personalisation Pad/Screen Print Area N/A Engraving Area 25 x 20 mm Full Colour Area N/A Embroided Area N/A Max Spot Colours N/A Foil Block Embossing N/A Notes Price includes engraving to 1 position only. Set up and carriage are additional. 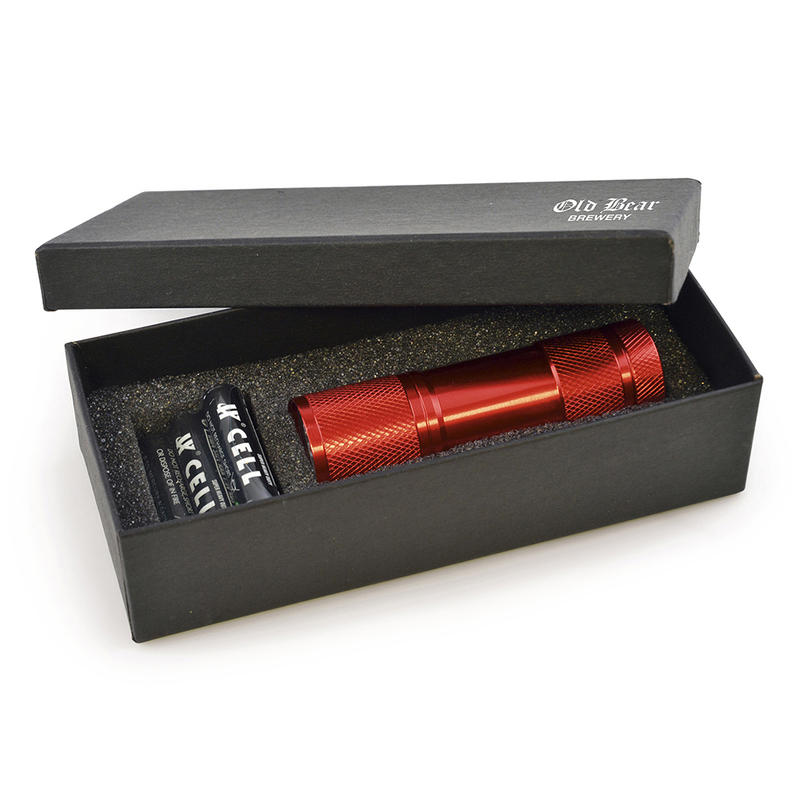 Model:BX0003 SYCAMORE SOLO BOX Description: Why not add a presentation box for your torch? Colour Options: Black Product Data Specification Product Size 150 x 65 x 37 mm Product Weight Ink Colours If Applicable N/A Additional Information Price includes a 1 colour print to 1 position only. Price excludes Carriage & Origination. Lead Times 5 working days from artwork approval Personalisation Data Max Personalisation Pad/Screen Print Area 130 x 50 mm Engraving Area N/A Full Colour Area N/A Embroided Area N/A Max Spot Colours 1 Foil Block Embossing N/A Notes Price includes a 1 colour print to 1 position. Set up and carriage are additional. Model:LT0012 TOON Description: Flat cartoon style torch with 2 LED of illumination and magnetic area om the reverse. Batteries included. Colour Options: Black,Blue,Red Product Data Specification Product Size 125 x 38 x 4 mm Product Weight Ink Colours If Applicable N/A Additional Information Price includes a 1 colour print to 1 position only. Price excludes Carriage & Origination. Lead Times 5 working days from artwork approval Personalisation Data Max Personalisation Pad/Screen Print Area 35 x 15 mm Engraving Area N/A Full Colour Area 50 x 15 mm Embroided Area N/A Max Spot Colours 1 Foil Block Embossing N/A Notes Price includes a 1 colour print to 1 position. Set up and carriage are additional.